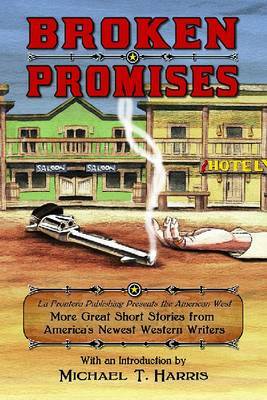 La Frontera Publishing presents Dead or Alive, its latest collection of fictional short stories about the Wild West from America's newest Western writers, authors who may become tomorrow's legends of Western literature. When the law said bring 'em in dead or alive, that's all some men needed to hear. Relentless, like a dog on the scent, they went where the law wouldn't-or couldn't-go, even into territory just this side of hell. They were hunting robbers, murderers, and those whose crimes were too horrible even to talk about. But sometimes the hunters became the hunted, and suddenly the stakes changed. Here for you are the works of Robert J. Conley, a Western Writers of America Spur Award winner; W. Michael Farmer, a finalist for a Western Writers of America Spur Award for best first novel in 2006 and a New Mexico Book Awards finalist for historical fiction; D. B. Jackson, a winner of the Will Rogers Medallion Award; Doug Hocking, Jim Williams, Dave Fisher, Chris Perez, Jerry Guin, and Phil Truman, writers who have a unique storytelling talent. Buy Dead or Alive by Michael T. Harris from Australia's Online Independent Bookstore, Boomerang Books.